If you are looking for information on the USA Insulation franchise business opportunity, USA Insulating franchises or USA Home Insulation franchising , then you have come to the right place. You'll be selling the excellent USA Insulation products and services primarily to customers who own homes that were built prior to 1980. Chances are, these individuals will be all too familiar with the drafts and costly energy inefficiencies that older homes can inflict upon their residents! No matter what their homes are constructed of, you can help them - our USA Premium Foam insulation can be used in brick, block, stucco, shingle and wood houses, in addition to houses with vinyl or aluminum siding. Plus, it also provides an effective moisture and temperature barrier in basement walls. 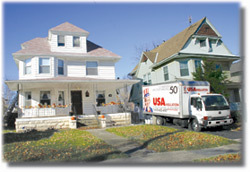 When it comes to delivering excellent customer service, USA Insulation shines! You'll work closely with your customers, listen to their concerns, and answer their questions. You and your installers will provide the kind of quality service that fosters customer referrals. The process begins with a free estimate, which is performed in their home. Time slots for estimates are offered over a range of hours and days to accommodate customers' schedules. We'll teach you how to select experienced, trained and certified installers who will ensure proper and thorough installation. 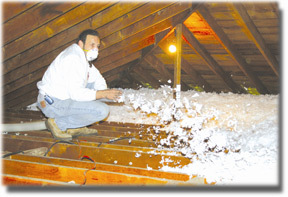 They will represent the USA Insulation brand by performing each job correctly, professionally and courteously. Our ongoing program oversight will help keep you on track for years to come! This includes additional training and support in areas including unit operations and maintenance, product ordering, and administrative procedures, just to name a few. And remember, the lines of communication are always open - we're available by phone or email to provide continuous support.